Moustaches on Strings: Oh, what up? Contrary to popular belief, I am not dead. Nor am I incarcerated. Just lazy. And in the process of settling into my apartment. I love my apartment, and I love my roomies. I do not, however, love the construction and constant fleet of lawnmowers. Oh well, it will be over with time. Setting up this apartment, I've noticed common things that I always, ALWAYS incorporate into my life. Over the summer, I got severely obsessed with some killer things. Fedoras. Not, like, all the time, but I LOVE me some jaunty straw hats. Jenna Marbles. YouTube her right now. I suggest you start with What Girls Do on the Internet. Dubstep. All day, errrr day. Not really, that would be overwhelming. Whisker Wars. You all KNOW how much I love facial hair. I think I'm genetically hardwired to love it. Seriously. 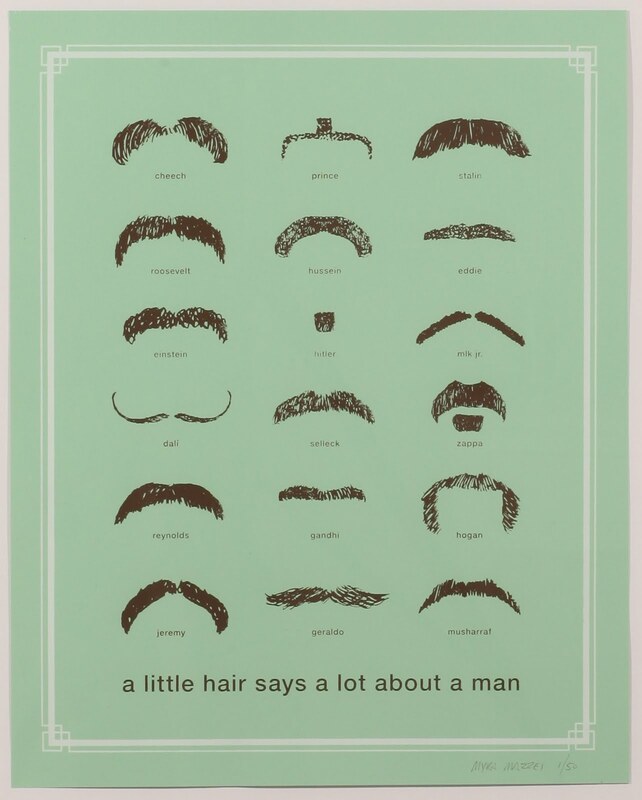 All of the men in my family have moustaches or beards. Even my purse has a moustache. It's a privileged life. 6. Cowboy movies. Clint Eastwood, Duke, ah, classic. 7. Tunisian Crochet. It is so great. It does, however, take a year and a half to finish and makes you exaggerate severely. Toss in some vodka sauce and that is my life in a nutshell. Sorry about my lack of blogging this summer. I know you all were dying to know what I was doing pause not.